Jerami Kipp, is Director of Services of the New York Institute of Dance & Education and the New York Dance Festival, holds a Bachelors of Fine Arts from the State University of New York at Purchase, and is a founding choreographer for the Sean McLeod Dance Experience debut in Basingstoke, England. After years of direct study and hands on instruction, Jerami is one of only a few certified to teach McLeod Technique and Reinforced Motor Function as written about in Dance Teacher Magazine. Jerami Kipp is on faculty of the New York Institute of Dance and Education, the American Master Class Tour, the New York Dance Festival, and a soloist with the Kaleidoscope Dance Theatre. He was assistant to the President at the Institute, and assisted when working with Carmen De la Vallade and Cleo Parker Robinson. Jerami was Director of the of the Mamaroneck NY Dance Program and ran the Summer Dance Program at NYIDE in 2008 & 2009 overseeing the implementation of dance classes including Ballet, Modern, Jazz, and Hip Hop. Jerami was also an Audio Engineer/Production/Composition creator at Purchase College Conservatory of Dance. He served as an audio engineer for both the Conservatory of Dance Department and multiple graduating candidates. Editing and mixing audio tracks. Composing work for choreographers. He did Pre-Production Editing for White Nite Production where he was an Account Associate. He did primary Playbill Layout and Design, as well as sales. 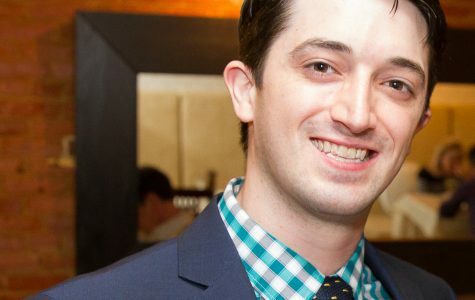 He marketed, sold, and delivered advertisement placements for the New York Dance Festival where he additionally delivered and oversaw production of all New York Dance Festival Playbill. In 2009 Jerami joined the Dance Faculty of the New York Dance Festival where he worked alongside a celebrated International faculty of diverse dance backgrounds, including teaching Ballet, MT Modern, MT Afro Hip Hop, and Reinforced Motor Function. Mr. Kipp additionally set a new dance work at the Festival. Also in 2009, he was Guest Faculty for the New York Musical Theater Project and helped acting students better their quality of delivery and messaging. He also taught warm up and dance classes. Jerami was part of the Implementation Team – “I Am the Author of My Own Life Story” Program for the New York State Department of Children and Family Services. This groundbreaking program used dance, writing, African hand drumming, script design and open group personal story telling – about the inmates or detainees real life problems. This approach baffled the professionals and helped the participants go through the life changing pain and honest feelings that led to all the participates being released from the facility within 5 months of the programs completion. Jerami Kipp was the After School Coordinator and Dance Teacher for the Booker T. Washington Community Center’s dance program. Jerami Kipp is a Janet Collins Fellow, an International Performer, and accomplished African Hand Drummer and educator. Jerami has studied dance and arts administration through the Applied Study Program at the New York Institute of Dance of Education and drumming with Rusted Root’s Jim Donovan, Ghanaian drum master Etse Nyadedzor, and additionally with Elie Kihonia Master Drummer from the Democratic Republic of Congo. Jerami has worked with several notable choreographers including Nora Daniel, Pam Tanowitz, Victoria Dale, Dianne McIntyre, Luca Veggetti, Thomas Warfield, and Sean McLeod. Jerami traveled extensively including England, Vancouver, Barbados and Trinidad & Tobago.